Everyone is a contributor! Share what you know and learn from others, by tapping into the collective intelligence of your employees. Identify key employees and subject matter experts, by empowering them to publish and share their knowledge. Your sales team gets the most relevant sales collateral, reviewed and rated by their peers. Automate and scale new employee training, reduce the time to get new hires ready and productive by connecting them with relevant content and people they work with. Helping professionals to share what they know, easily, securely across teams – on any device, anytime, anywhere. SHARE your work. LEARN from others. GET RECOGNIZED as an expert. HummingbirdShare surfaces the expertise in your business and ensures that the expertise stays in your business. It enables your employees to share key information, locate subject matter experts and talent – anytime, anywhere. HummingbirdShare lets you find the most relevant sales & marketing information, and best practices. Connect sales reps working on similar opportunities, and enable marketers to focus on creating the right content in the sale process. 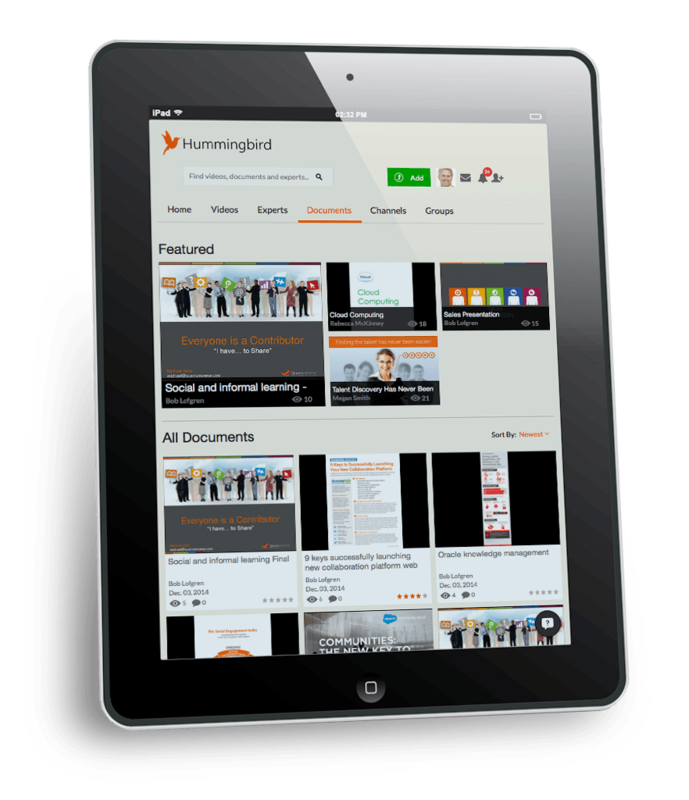 HummingbirdShare ignites scalable, cost-effective, and collaborative learning, allowing employees to learn from each other at their own pace. Automate new employee training, reducing the time to get new hires ready and productive by providing them with relevant content. HummingbirdShare breaks down departmental silos and re-connects your staff. People with expertise are connected to those who need it, boosting productivity and increasing the speed of organizational learning and innovation. HummingbirdShare reduced the onboarding time of our new therapists by 50%. We drive consistent high quality standards by providing our therapists with short videos our therapists can view at any time. HummingbirdShare provides an efficient and cost effective way to train our safety professionals across the country. 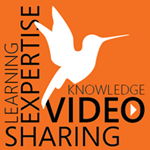 HummingbirdShare provides a single repository for all sales and marketing collateral, including videos. Intuitive and easy to use.